These earrings are a signature look from Honora. 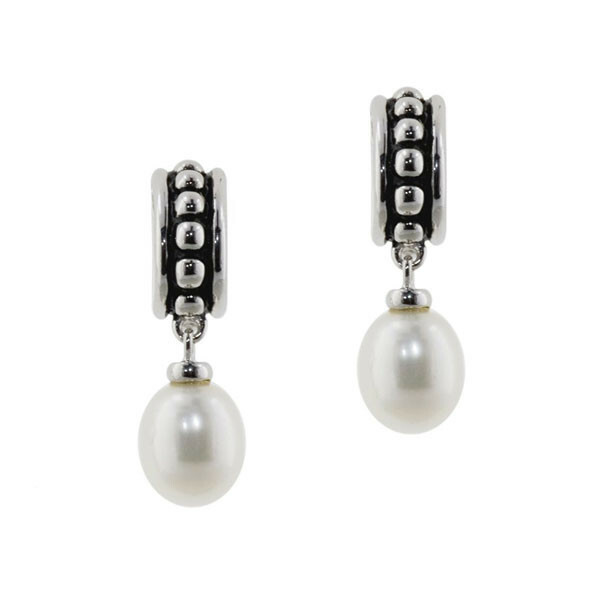 Crafted in sterling silver, they feature a bead-accented, antique-finish silver hoop from which a white pearl drops. Call the dangle earrings Pallini and call them dreamy, too!